I've always regretted not being able to watch Rak of Aegis last year, so when I heard that PETA's staging another play entitled 3 Stars and a Sun, I told myself that I'm definitely not gonna miss this! 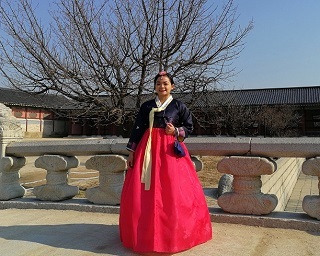 In fact, tomorrow, February 17, I'll be watching it with my friends. Come join us! I'm sure it's worth it! To win 2 tickets, join the raffle below (See Rafflecopter). Two winners will be selected. 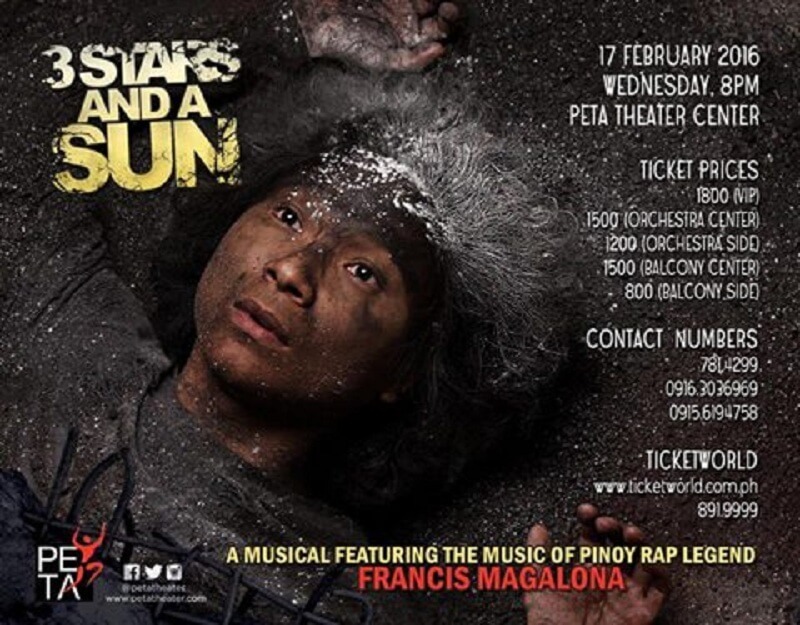 3 Stars and a Sun is a musical act that features the music of the late rap artist Francis M. It is set in dystopian period, Philippines (Pinasland) 70 years from now, when people are struggling to withstand and survive the extreme weather (heavy rainfall, strong hurricane, etc.). How to join the raffle? 2. The promo runs only today, February 17, 2016, 11:30AM to 4:00PM. 4. Winners will win 2 Balcony tickets each.